The Knights of Vartan’s 100th Annual Grand Convocation and the Daughters of Vartan 78th Kerakouyn Zhoghov was held July 11-14, 2018 in Dearborn, MI at the Edward Hotel with over 150 Knights and Daughters and their family members in attendance. The loyal Knights and Daughters got together for a series of innovative workshops, meetings, discussions, city and cultural tours and elegant evening events. It was also a time to acknowledge and present awards to individuals and lodges for outstanding service to the Armenian community. The Knights and Daughters of Vartan, Nareg-Shavarshan Lodge #6 and Zabelle Otyag (Lodge) #12, graciously hosted the 100th Grand Convocation. The Convocation Committee was led by General Chairman Past Matron Gloria Korkoian, Co-Chairman Past Commander Kazar Terterian and coordinated by Knights and Daughters from Nareg-Shavarshan Lodge and Zabelle Otyag (Lodge). Wednesday July 11th included an informative city tour of Detroit with visits to the Motown Museum, St John Armenian Church and the Alex & Marie Manoogian Museum. On Thursday July 12th Dr. Taner Akcam was invited as a special guest to speak about his recently published book, The Killing Orders: Talat Pasha’s Telegrams and the Armenian Genocide which provides undeniable proof that the Young Turks intended to exterminate the Armenian people. For the evening guests enjoyed dining and entertainment in the revolving hotel Rotunda with the singing group “Detroit All-Stars” who took everyone back in time for a Motown experience. Those in attendance had wonderful time with exceptional food, singing and dancing. One of highlights of the Grand Convocation social events was dinner and dancing at the Henry Ford Museum among the historical and interesting collection of the museum. Armenian music was provided by the All-Star Armenian Band: Richard Hagopian, Hachig Kazarian, Mal Barsamian and Vaughn Masropian and DJ M-Kay who inspired guests to dance throughout the night. Guests enjoyed traditional Armenian dancing including Detroit’s “Michigan Hop” and others.The closing event of the Centennial Grand Convocation was the Gala Banquet with Knights and Daughters present as well as many other guests who enjoyed the beautiful dances performed by the Detroit Hamazkayin Dance Group and the breath taking music of violinist Harry Hovakimian. The Grand Commander Dr. Gary Zamanigian led a number of business meetings regarding the past years accomplishments and achievements and about future projects. The Knights of Vartan appropriated financial support for certain key charitable initiatives: the Fuller Center for Housing Armenia NGO in honor of the late Past Commander Der Dajad Avak Kahana Davitian, a good friend of Fuller Center; Scholarships for Armenian American Students; and Scholarships for Students in Armenia who attend the American University of Armenia, Yerevan State University and the National Polytechnic University of Armenia. In addition, the following projects will continue to be funded: Partnership with CASP (Children of Armenia Sponsorship Program) to benefit needy children in Tavush; the Armenian Schools Support Project in Armenia in partnership with the World Bank; grants from the Knights of Vartan Fund for Armenian Studies; and the Annual Times Square Armenian Genocide Commemoration in New York. 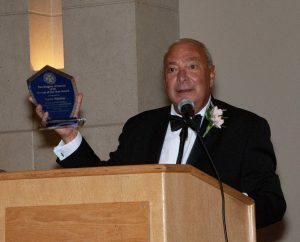 Under the leadership of the Knights of Vartan, Grand Commander, Dr. Gary Zamanigian of Bloomfield Hills, MI and Daughters of Vartan Grand Matron, Diana Tookmanian of Pasadena, CA a successful year of service has been completed. The Grand Commander Dr. Zamanigian commented, ”During the meetings, the Knights of Vartan once again voted to continue to support vital projects in Armenia and the United States confirming the finest characteristics of Knighthood”. Merit awards were presented to Gomidas Lodge, San Diego, Vahan Lodge, Orange County, Ani Lodge, Washington DC, Mamigonian Lodge, New York, and Yeprad Lodge, Fresno. After being hired in July 2017, the Liaison of Knights of Vartan Communications Office in Yerevan, Gohar Palyan, was present at the the 100th Grand Convocation and provided her annual report which consisted of tasks managed at the Communication Office as well as suggestions on future projects. During her trip to USA she also visited Knights and Daughters of Vartan Lodges on the East and West Coasts. The Knights and Daughters of Vartan have always tried to encourage Armenians in leadership positions and honor them for the worthy deeds they have implemented throughout the past year both in and outside of Armenian communities. During the Grand Convocation for their exceptional work, the Knights of Vartan recognized Garo Paylan, as one of two 2018 Persons of the Year. Mr. Paylan is a Turkish politician of Armenian descent. He is a Member of the Grand National Assembly of Turkey for the Peoples’ Democratic Party (HDP). He became one of the first Armenian members of Turkey’s parliament in decades. After he was elected, Garo Paylan vowed to fight against Armenian Genocide denial and that the Armenian Genocide be acknowledged in Turkey. In April 2016, during a speech in parliament he made concerning the 101st anniversary of the Armenian Genocide, Paylan counted the names of ethnic Armenian politicians who were deported and then killed during the Armenian Genocide. 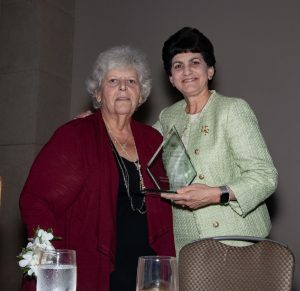 In addition, Dr. Mary A. Papazian received the Knights of Vartan 2018 Person of the Year and the Daughters of Vartan Woman of the Year Awards. She is a seasoned leader with nearly 30 years of experience as a university professor, academic and administrative leader. Dr. Papazian joined San Jose State University as its 30th president on July 1, 2016. Before coming to SJSU, she was president of Southern Connecticut State University in New Haven, Connecticut. Previously, Dr. Papazian was the provost and senior vice president for Academic Affairs at Lehman College of The City University of New York. She also served as the Dean of the College of Humanities and Social Sciences at Montclair State University in New Jersey, and as Associate Dean of the College of Arts and Science at Oakland University in Rochester, Michigan, where she began her academic career as an assistant, associate and tenured professor of English. The 2018 Grand Convocation saw the re- election and re-installation of the Grand Commander of the Knights of Vartan, Dr. Gary Zamanigian of Bloomfield Hills, Michigan, and Grand Matron of the Daughters of Vartan, Ms. Diana Tookmanian of Pasadena, California. The Grand Lodge has seven officers, including Grand Commander, and during 100th convocation the re-elected officers were: Lieutenant Grand Commander Howard Atesian, Grand Chaplain Garry Javizian, Grand Recorder Deacon Richard Norsigian, Grand Treasurer Ed Bedikian, Grand Master of Ceremonies Deacon George Boyagian, and Grand Sentinel Ray Boujoulian. The Grand Council of the Daughters of Vartan re-elected along with the Grand Matron Ms. Diana Tookmanian were: Salpy Mankerian, Zovig Tashjian, Taline Kedjidjian, Barbara Khazoyan, Barbara Tchalikian and Claudia Hardy.